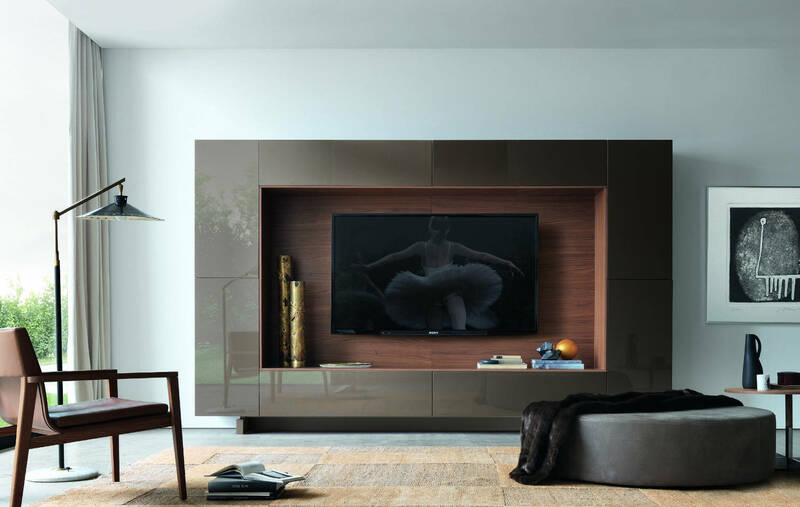 Select O-13 floor standing composition, canaletto walnut wall panelling and cupboards finished with visone gloss lacquer. 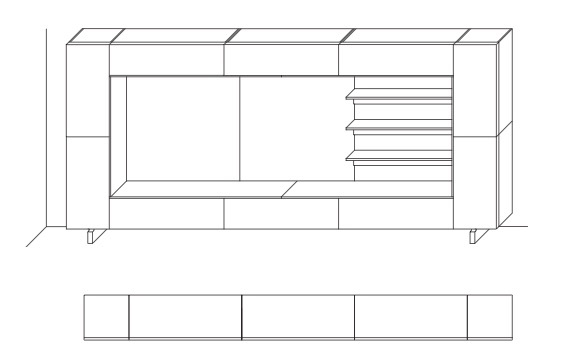 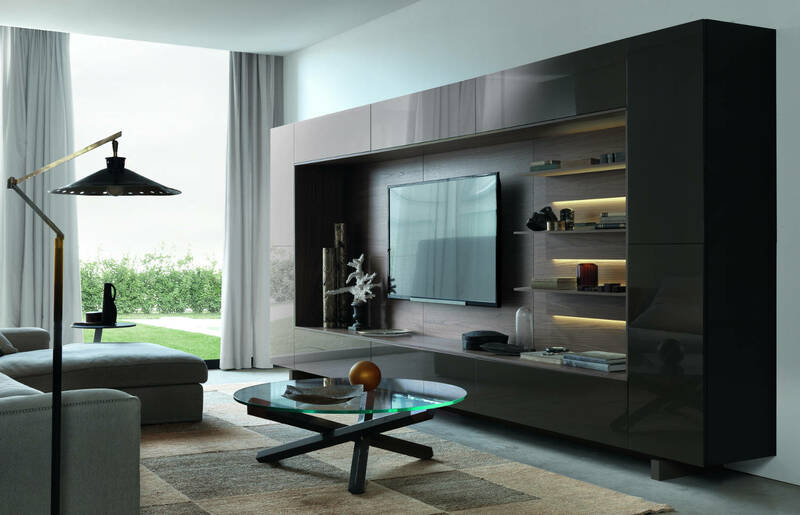 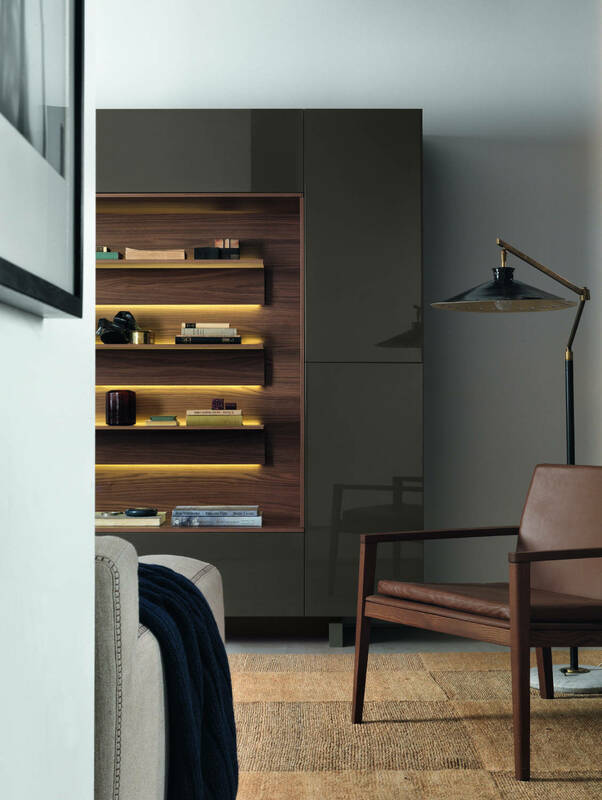 Listed above we have the standard O-13 floor standing composition, with a combination of cupboards surrounding canaletto walnut wall panelling which includes open shelves (with lighting) and space for mounting a TV. 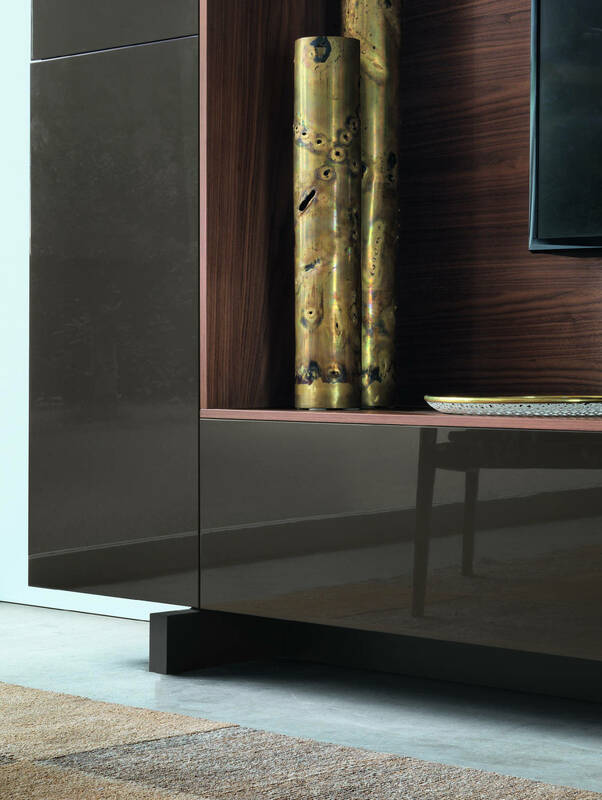 The cupboards are finished with visone gloss lacquer.